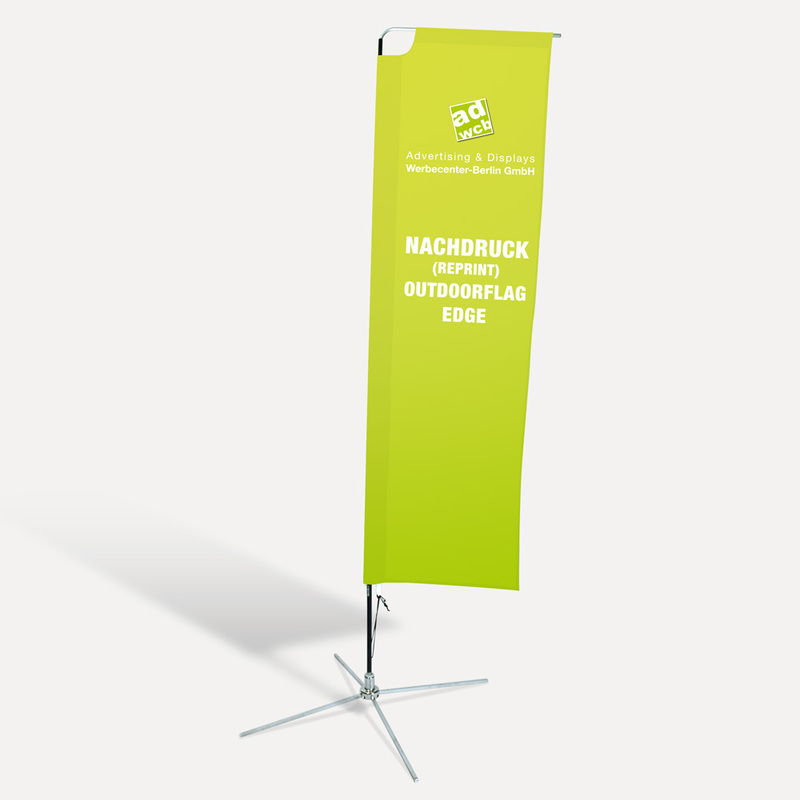 1x Reprint for Outdoor-Flag "Edge"
This reprint is for our outdoorflag "Edge". It has a light rectangular shaped print and will be printed with your files. The printing fabric is "Flag Tex" 110g/m², 100% polyester, B1. It will be delivered completely assembled and is redy for use. The changing of the motif is tool free possible.